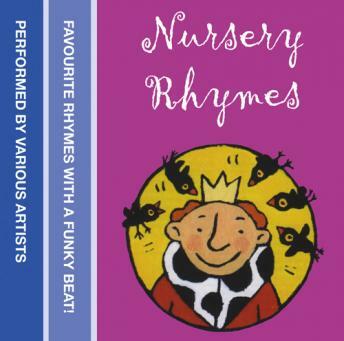 A revised edition of the jazzy, upbeat classic collection - traditional rhymes with a non-traditional approach!Sixty minutes of relentlessly jolly tunes to keep the babies bouncing, toddlers tripping and pre-schoolers popping! Includes more than 50 rhymes. Great for party games, playgroups and car journeys.These are traditional favourites with a non-traditional approach! Funky!Rhymes include:Pop goes the WeaselPat-a-cakeHey diddle diddleOld MacdonaldHumpty DumptyHickory dickory dockBaa Baa Black sheepand many many more!